Choose to find attendees by interest, name, or name of the company that they work for. Save attendee vcards on your device from the event app or send your vcard to another attendee. Read vcards from QR codes. Integrate with corporate SalesForce system to transfer lead contacts to your SalesForce account. Use the SalesForce Chatter to chat with these contacts and keep in touch with them to build business relationships. Read QR codes that store visiting cards, website links, and more. 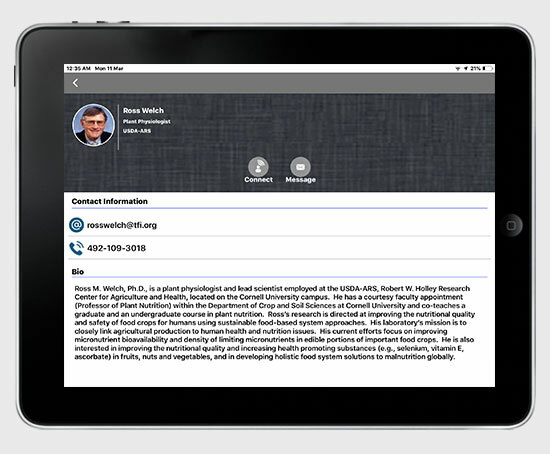 Add a vcard scanned from a QR code to your phone contacts right after scanning it. 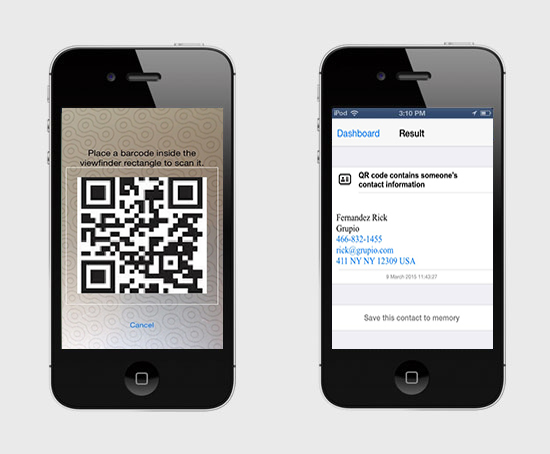 Event administrators can scan QR codes on badges of attendees to track attendance to sessions. Find out exactly how many people attended a session, when they entered, and exited the session to deliver detailed attendance reports to event stakeholders. Use attendance records to build attendee lists for future events and develop strategy on which sessions to focus on based on what attendees want.